Keep your cool in Scala 48985. This dazzling sequin gown has a sharp sweetheart neckline, and off-the-shoulder straps, which lead to rectangular cutouts on the open back. Sequins highlight your curves in the floor-length, fitted skirt, which has a side slit, to showcase your gorgeous legs. 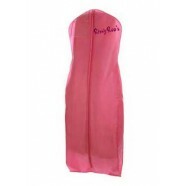 Have a fabulous time in this fitted gown at a pageant, prom, or charity ball.